i should have known, long ago, that i was marrying into a new religion. first clue came with the chair: the man i married was pining for a squat black chair, all arms and spindles, broad seat, gold medallion. the gold medallion was everything: the crest of his college. now up until that moment, i’d always thought my mate to be fairly sublime when it came to taste, certainly of aesthetic high-ground. well, except for that spat in the sheets department, back on the day we were so-called registering, bride and groom let loose in downtown dry-goods store with clipboard and pen, feeding all domestic whims, checking off thises and thats. till i got to the sheets, that is. the sheets with the rambling blue roses, and he ranted that he could never sleep in those, what with all the thorns. 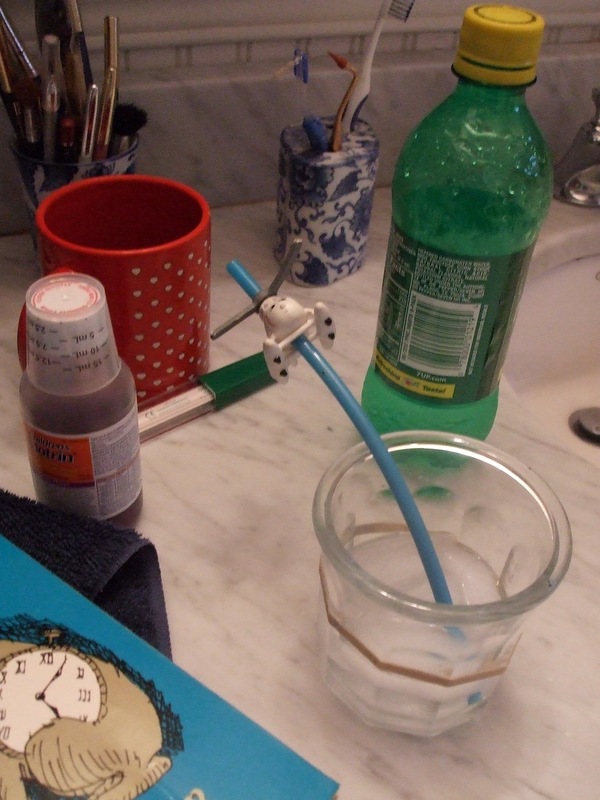 instead, he held up a pack of blue-on-white pencil-lined percale. nothin’ jazzy there, so straight-forward i started to yawn. which apparently proved his point: one should sleep on spare canvas. yeesh. you’d have thought he was going to bleed to death dozing, what with his vehement protest to my bed of roses. anyway, as i was saying before tangling in that thorny tale, up till the chair plopped onto the tableau that tussle round the rosy sheets had been, far as i recall, our sole scuffle over domestic appointments. to my mind at the time, he might as well have shown up for a wedding wearing a big ten sweatshirt. and so what if it wasn’t big ten, his fine old college. back then, before i understood the ins and outs, the intricacies of his brand of religion, i’d crossed off all college gear as the stuff of cheerleader wanna-bes. in time, though, it began to sink in. over the years, i’ve gotten good long looks at a beautifully educated mind. i’ve felt my jaw drop, and my heart go ker-plunk, as he pulled from the shelf some masterwork, and, before he even turned to the ink-scribbled page, he’d recite a line of utter poetry. even when the subject was, well, architecture, specifically the divine illumination of light pouring through a window. back when our firstborn was four, we stopped for a road-trip repast in the yale cafeteria. we all laughed that the college tour had officially commenced. our little one’s grandpa, who sat across the oak-slab table, scooping soft-serve vanilla ice cream from a bent metal cafeteria spoon, he simply beamed. never too soon, he purred. 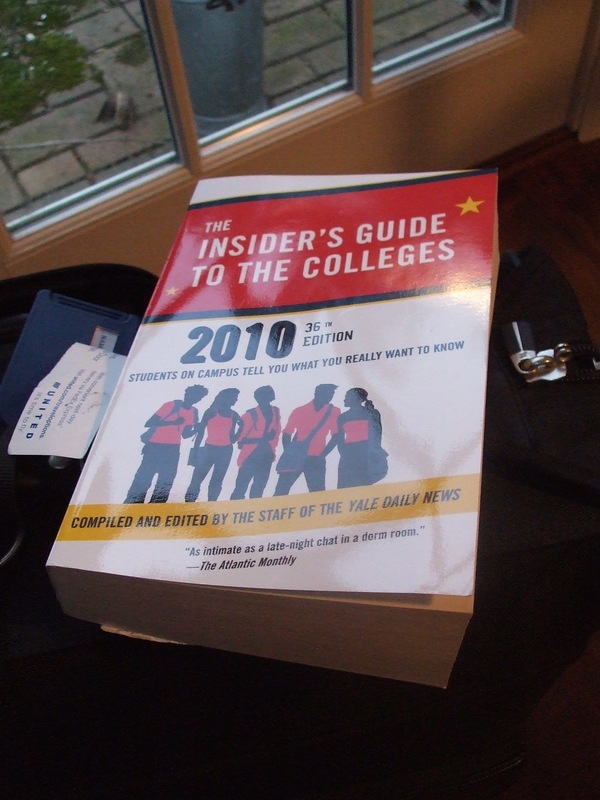 in the house where my boys are growing up, they’ve always known they were college bound, and not just any college, please. quite unlike the house where i grew up, where college came in just two flavors–in-state, or catholic and close enough to drive–this has all been quite an education. for me, mostly. for years now, we’ve been swirling ever closer to today. we’ve caught a campus here and there, driving one way or another, never in too much of a hurry to stop and walk through gothic gates, genuflect at library circulation desks, imagine what it would be to pull up to some ivy-covered dorm and leave our boy to learn. our firstborn has always been a thinker. and that’s not the bump-free way to be a kid. our firstborn, it’s long been said, was born to be in college. he knows no excitement like the thrill of a deeply-carved thought. has long checked out library books that few would dare to tackle, let alone consider summer reading. he’s spent whole nights, dusk till dawn, with his desk light burning, unwilling to settle for less than his utter best, despite my pleas that he is perfect as is, and besides, he needs his sleep. as he rounds the bend to end of junior year, he’s earned the grades to be able to consider the sorts of schools that i had never dreamed of. and so, this morning at the crack of dawn, his bags were packed. his papa’s too. their itinerary is a rich one; he is drawn, of course, to where the thinkers are. my job here is to wait each night to hear whatever bubbles up for the boy i love, now walking the greenswards of his dreams. as, with each stop, the blurry outlines take on real-life edge, as he sees where shadow lifts and falls amid once gauzy colors. last night i found myself in a vaulted-ceiling room, walls and beams carved from mahogany, the floors of slate and marble. standing there, amid a crowd, i faded out of conversation, began to think instead how this could be the world of which my firstborn someday might be wholly fluent. i thought how, all these years, he has lived in a cocoon of our making. his every move i once knew. now, less so. but still i know the dips and bends in all the roads he travels. i’ve heard the voices of his teachers. i have come to love his friends like extra sons. know which one sips kambucha, which one favors sushi. but now, as he drives from baltimore to philly, stops again in new york city, drives north to connecticut, then west to the berkshires, i understand his reach is stretching, and the lines on his map grow fainter to me. he will soon know a world that i will grasp in tapped-out lines, and stories quickly told over the phone. but the phone will click when that call ends. and he will go on living, and i will too. his world, i sense, i hope, i pray, will be far beyond mine. i pray that he is never bound by the fears that have held me back, by all the second-guessing. he is brushing up against the world of which he’s always dreamed. and i am home with his little brother, his little brother who cried hushed tears as the trunk was popped, suitcases hauled to the airport curb. we are practicing long distance, he and i.
life is shifting here. the life we dreamed is coming into focus. i pray for him to fall deeply into the religion of his father, and his father’s father. he has what it takes to be a priest in that most scholarly calling. i hear the whispers all around. and should his wildest dream come true, i might even spring for the gosh-darn chair. in my own way, i’ve gotten the religion. this one’s mostly for his grandma, she who reads each word with such full heart. this one’s for all the ones who’ve gotten him to where he is, and where he’ll go beyond. this one too is for his papa. it’s not been without bumps, this college road. but i think we’ve hit the high road. be safe, be well, on your college-bound tour. one by one, we’re watching the cabs and shiny black cars pull away from the curbs, house after house utterly emptied. shades drawn, garbage cans shlepped to the alley. everyone’s itching, it seems, to trade in their snow boots for great swirls of sunblock, down on the sands of faraway beaches. any minute now, we’ll have the grocery aisles all to ourselves. it’s that annual stretch of the year when the town empties out, leaves us home alone to take care of the village. we haul in the mail, up and down the block. we feed the cats and the fish, remember to turn off the lights, click on the radios. every house, its own prescription. and since tomorrow we wave bye-bye to two of our own here in this old house, the little one and i invited in house guests (see peephole above). the little one couldn’t be more thrilled. 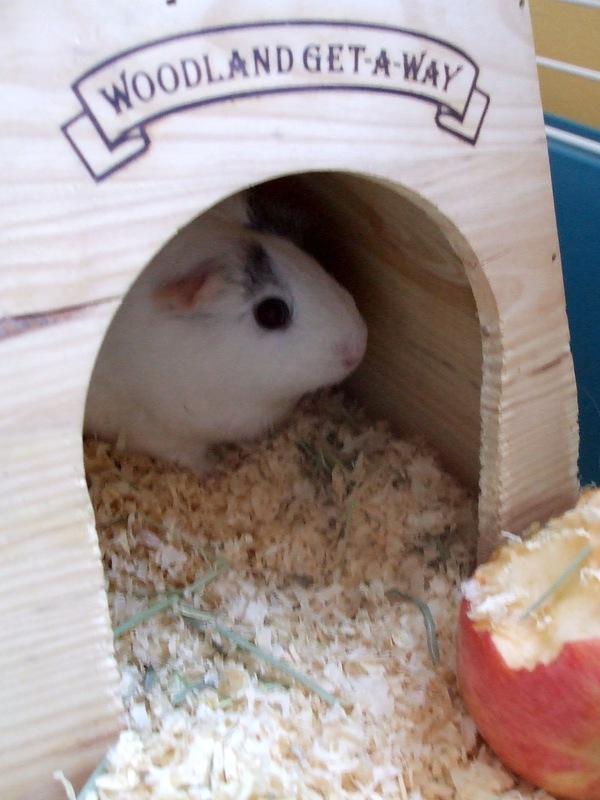 predicted last night–and again this noon, as we ferried them home–that hosting the guinea pigs would make us one popular outpost over these glory days of sleeping late, and staying up later. apparently, there was a rather grand lottery in third grade the other day. turns out, my boy was the winner. which means, so was i. a fact pounded home by the note sent by the teacher, the one headlined, LUCKY YOU! the little one’s been talking about his great good fortune ever since. far as he cares, there’s not a beach in the world as grand as hosting these pigs. why, he’s mapped out their day-to-day itinerary here at the pig hotel. even sketched out a plan for morning recreation, in which aforementioned furballs run free locked in the bathroom, long as we’re sure to plunk down the lid of the toilet, lest the pigs go for an unsupervised swim. at three hours and counting, i can post this status report: so far, so good. managed to get the wire room (they called it a cage, but anything the size of a bathtub, i say is a room) into the house without scratching the walls or cracking the panes of glass in the door. the little one set the pigs up with plenty of hay, a sprinkling of carrots, and what had been the apple i sliced up for his lunch. then the cat came on the scene: egad, high drama. well, that’s what we feared when the four of us stopped breathing–me, the little one, and the two pigs. but all the old striped cat did was sit there and sniff. sniffed so long and so hard it took half an hour for our wee little house guests to come out of hiding, there in the woodland get-a-way, or however it’s hyphenated. in case you were curious–and why wouldn’t you be–they do have names, guest 1 and guest 2. (remember here, it’s third graders doing the naming, so don’t expect french literature or anything.) so, the all-white one, that’s snowflake. and the one with black splotches on top of his creamy white hairs–that’s oreo. for the next 10 days, their life is on my line. last time we ponied up for pet patrol, back in nursery school when we took in a tortoise that barely moved for two weeks, i couldn’t have sighed a deeper sigh of relief, the day i drove that hard-shell back to school and waved b-bye. all i’d needed was for that shell to take one breath–inhale or exhale, it didn’t much matter–there in the classroom, and then i could swear on a bible he hadn’t expired, at least not on my watch. why, i’ve heard tales of mice getting flushed down the toilets, and mamas scrambling under cloak of darkness to find a replacement with similar markings. by the end of that rat race (“no, no can’t go with that one, sir, i need a mouse with stripes on its tail and a Z–not an Y–on its ear”) i’ll bet those mamas will take any old mouse, so long as it’s stirring. worst i think i ever heard was the hedgehog who heaved. up and died, that prickly thing did. far as i can figure, you can’t just run out to the walgreen’s, come home with replacement hedgehog. those are the worries that will likely keep me up long chunks of the night, one ear cocked for scritchings and scratchings, the other alert for the fumblings of one hungry cat intent on unlocking the latch of the pig pen. and so it goes here in the house of the caretakers of wonder. we’ve got a whole spring break ahead of us, and nowhere to go, nothing to worry about. nothing that is, but the lives of two furry balls that a whole class considers full-fledged citizens of the kingdom. and so it seems to be unfolding, the phone keeps ringing. piles of shoes are strewn at the door. maybe at long last, thanks to the draw of the pigs, i’ll be the mama sliding the trays of chocolate-chop cookies out of the oven, gobs full of little-boy hands tugging them straight off the baking sheet. that indeed would make me a caretaker most full of wonder. this ol meander is strictly preamble. tomorrow i do believe i’ll be posting a saturday special. at the crack of dawn, the little one and i put on our taxi driver caps and steer the big boys–the one looking for just the right college, and his papa–to the airport. they’re heading off for a sweeping arc of the east coast, and a slew of its ivy-covered colleges. that is a trip that will spur me to writing. so watch this space for that heartfelt meander. till then, i’ve apples to slice and carrots to scatter. the house had just been emptied of its last inhabitant, save for the sleepy cat. and me. the last lunch bag, scooped off the banister where most mornings they line up, all three, like brown-bellied soldiers in a row. the last triple knot had been loosed from the shoelace that refuses to become a floppy bow. the shoe shoved on, clop-clop-clopped to the bus stop. i breathed in, deep and full, for what felt like the first time in days. a glint of morning sun caught my eye. i soaked in the silence, then heard my name whispered from beyond the smudged-glass panes. i felt my farmer self slide over me, like an old dirt-streaked pair of dungarees. before i gave it conscious thought, my feet were sliding into rubber boots, the ones that give me license for sloshing. i stepped out to slosh, all right, to survey the so-called fields (more like a paltry plot that i pretend is vast terrain, a patchwork quilt of winding path and pine cove, woodland and a would-be meadow, punctuated here and there with dips and rises that here in the flatlands pass for hill and valley). caretaker of this square now brown and gray, i walked in search of winter damage, poked around beneath the withered autumn’s leaves to look for stirrings, sprouts of life that i knew–from the slant of sun, the way the light these days is pure, is warming–were apt to be crowning through the crust of nearly vernal earth. it is, more than any other mindfulness, this act of paying attention to the rumblings of the season–bird flight and song, unfurling of tenderest of shoots and sprouts–that moors me, fills my lungs with hope and my head with wisps of possibility. as i comb the beds, push back sodden clumps of oak leaves, shove off fallen twigs and pine cones, it is as if my fingerpads absorb the bumps of braille, and once again i’m given sight. i am reading the scripture of the springtime garden. i can’t help but bend my lips in smile at the parsley bits of green shoving forth from underground. clearly, the sun warms some spots more than others, for there are patches still in slumber while, not far off, clumps where alarm clocks must be clanging loudly. 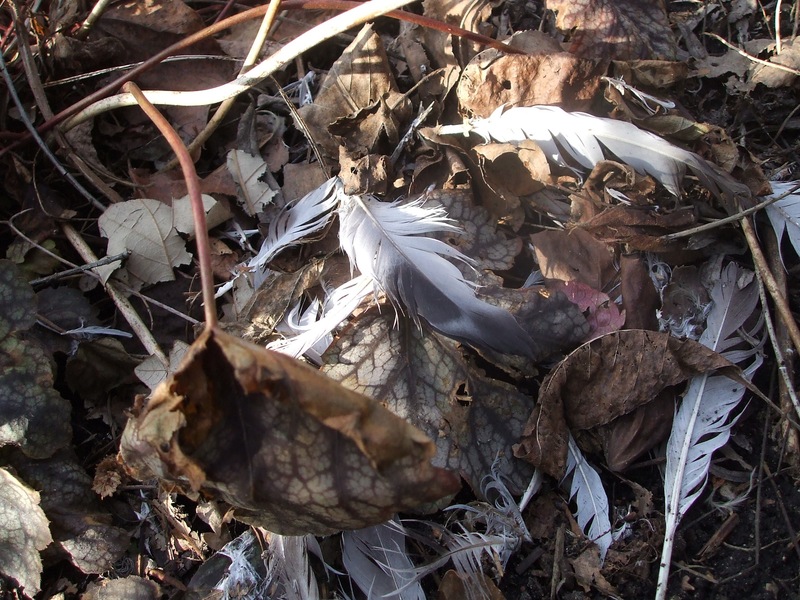 and then, amid the reverie of all this life, i come upon a mournful mound–of feathers, glowing white in the shafts of sunlight, just beneath the weeping willow. how apt that the branches weep, for this is all that’s left of one of winter’s juncoes, the white-bellied, white-tailed little bird that brings me joy in december’s depth. i’ve a hawk, a hungry one, who spends long hours in my pine trees, keeping watch for lunch. too often, he is sated. and here amid my friday rounds, my catching up with all the news in my backyard, i find sad evidence that once again he’s struck. and i am left to gather up a feather or two, to tuck in the holy ground where i remember all the fallen from my so-called fields. it is sacred work, the search for newborn life as well as the lifting up of the dismemberings. my knees wet, my fingers muddy, i register no surprise to find my soul is stirring by the morning’s end. back to life, after a long dark winter. have you been out to feel the pulse of coming spring beneath the crust of earth, now thawing? what is it that brings you mooring, a sense of holy place amid the madness? they are, simply, bent. 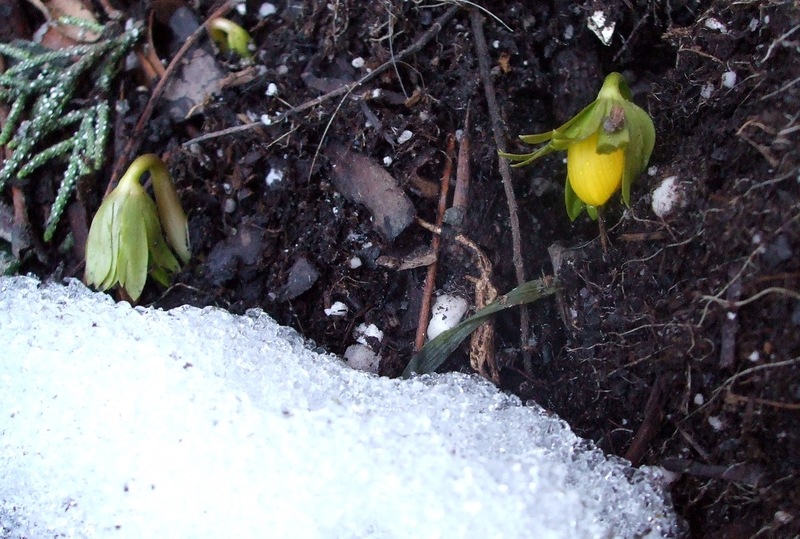 bowed in humble salutation, yellow heads drooped, petals clasped in chilly huddle. there beside the soot-stained crust of snow. they neither stamp their feet, nor clap their wee appendages, calling scant attention to the fact that they defy the icy crystals, heave big load upon their tender shoulders: they are the harbingers of heartbeat, of promise, once again. “there will be stirrings just around the dreary bend, what is bleak will end,” they whisper, should you put your ear to where the words emerge. oh, i never can remember what their name is, at least according to the botanists. instead, i call them “miracle,” balm for winter blahs. as these last gasps come from all of us, come from earth, come from sagging spirit, as the wonder of the winter white turns to mucky brown of spring-that-will-not-come, i seem to forget every year to watch for them. they leap out while i’ve not noticed, have done their work beneath the snows, labored in silence, unfurled without witness. they are, like so many gracenotes along the way, that hushed brush of the divine–so often cloaked as mother earth–that present themselves at the very moment when otherwise we might succumb, throw up our arms and flop defeated to the couch. there is, if you keep watch, a holy vein of resurrection all through life. just when we think we’re broken, along comes someone, something, to haul us back from the empty brink. so it is with the fellow on the el car who spies our weary face, our nearly-buckled knees, and leaps up to give his seat. he and his tattooed neck showing gallant empathy. or, for those of us who count on bird and tree and sprig to offer counsel, dish out therapeutic session without the hefty fee-per-hour, there comes this time of year a subtle tapping on the shoulder, urging us on, giving reason to believe. there is, for starters, the sun coming up each morn, the dawn arriving earlier and earlier as if the burning ball of gases realizes fully there is work to be done, a whole half planet needs its thaw; the list of chores, endless. trees must bud, erupt in blossom. birds, any week now, will catch the wind, fly northerly, land in our branches, weave nests, lay eggs, pluck worms. bulbs, already wakened, will push their way through dirt, make us swoon with all their cobalt blues and oyster pinks, golden trumpets, in a thousand shades of butter. the light itself is purer now, lands on the countertop in ways that call us to attention, make us glance out the window, notice, return to task, emboldened. and then, there in muddy crevices, knots of green poke through. unfurl. offer moment’s tingle, make you stop as you fumble for the keys. once again, the promise comes. the earth has turned, the seasons haven’t frozen in their tracks. something’s stirring, gently, defiantly, persistently. you’ll be wrapped, presently, in the envelope of resurrection. what has slept, will wake. what was still, will stir again. the way hasn’t been lost, merely hushed before crescendo. march gives way to promise, once again. have you spied a sign here or there of reason to hope? is the long winter wearing you down? have you given in to the clump of $2 daffodils at the grocery store, hauled ‘em home as if essential vernal tonic?